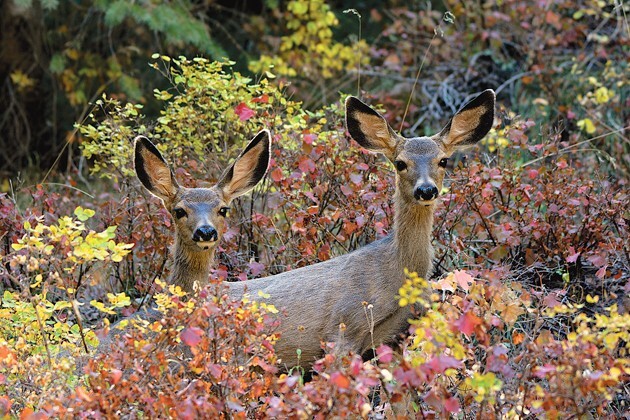 A pair of deer peer through the changing foliage of shrubs on the mountain side of Middle Canyon in September. 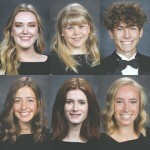 Among the evergreen cottonwood trees offer pops of orange on the mountainside in this file photos from Jolie Gordon’s archives. 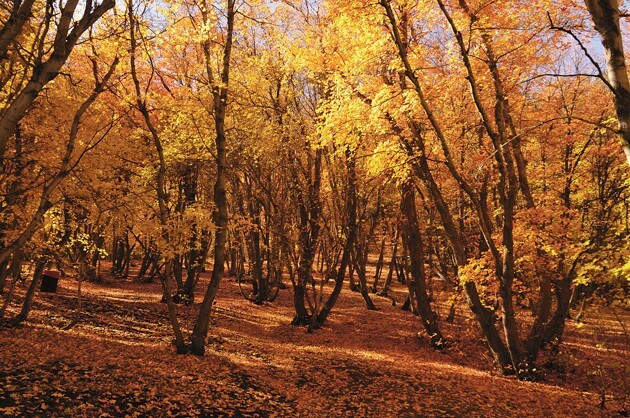 Hues of yellow carpet the ground and branches of trees in Middle Canyon in the late morning sun in this photo from October 2011. 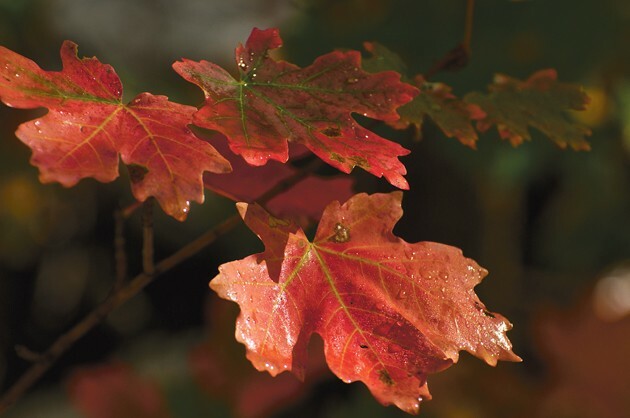 Jolie Gordon focuses in on the perfection of color from green to brilliant vermillion in leaves changing color in Middle Canyon. 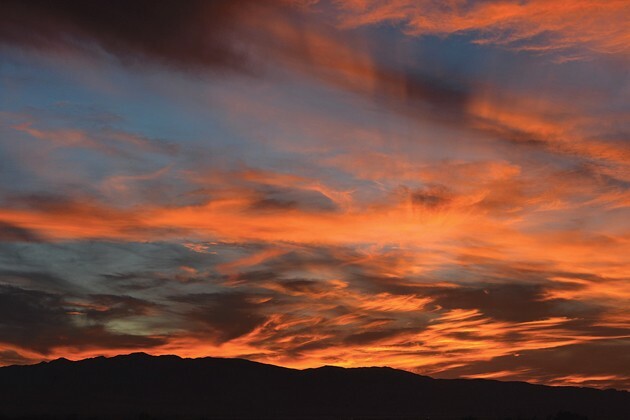 The sun sets behind the Stansbury Mountains offering the last gleaming bursts of daylight on Friday. 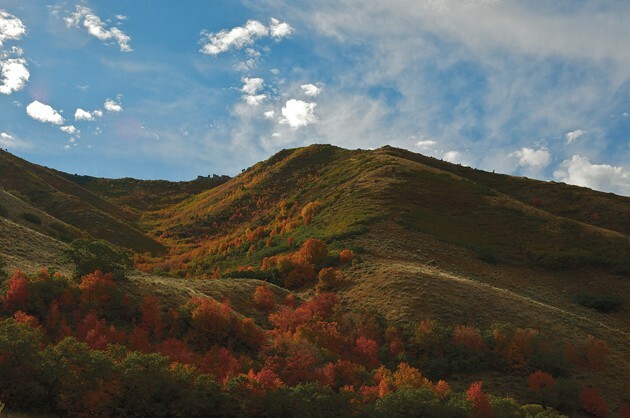 Ophir Canyon make the perfect canvas for a crisp autumnn day as the colors change with the temperatures in 2011. 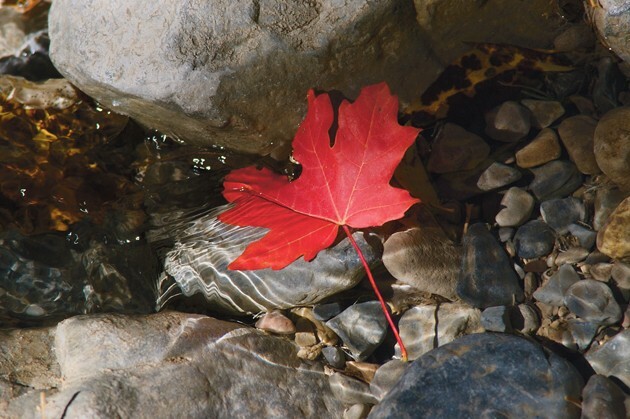 A single red leaf falls into the stream in Soldier Canyon in September 2005. 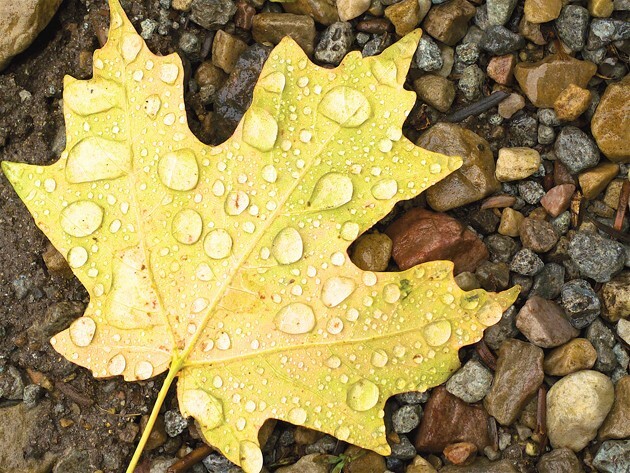 A leaf holds drops of rain on its surface in a photo from September 2017 taken near Lake Point. 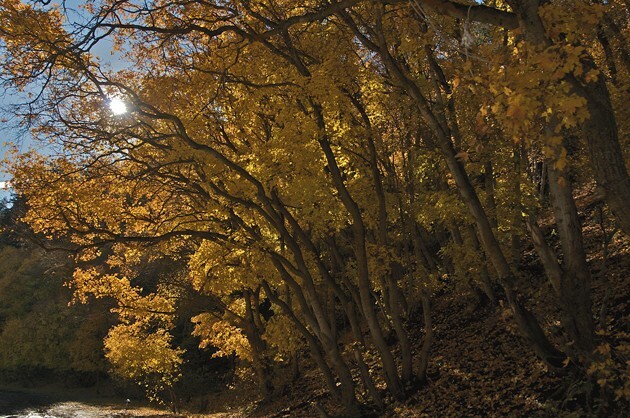 The sun peaks through the trees in Middle Canyon. 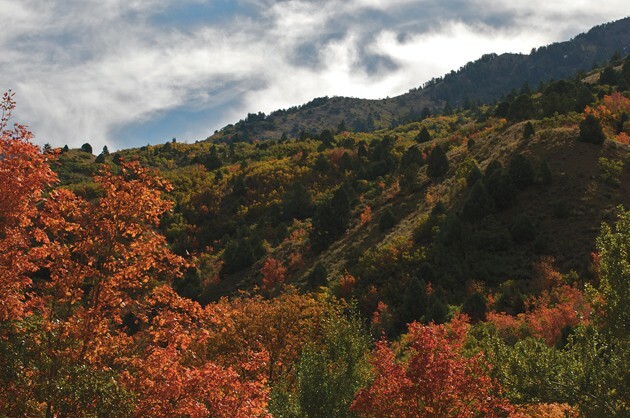 Trees go from summer green to autumn golds and yellow in Ophir Canyon. 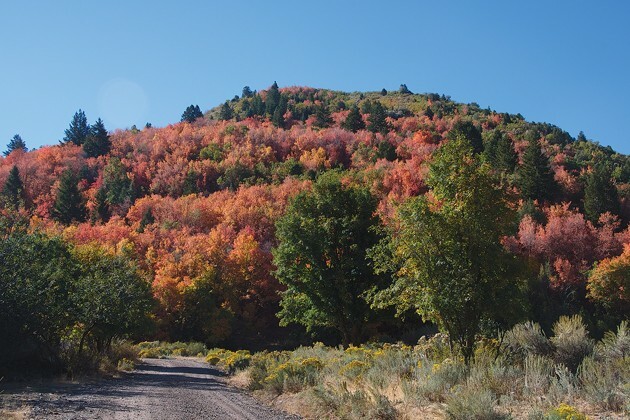 The road to Ophir Canyon offers a glimpse into the season in October 2016. 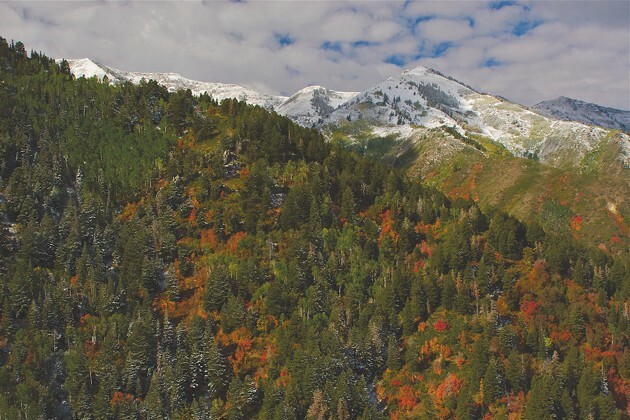 Although Tooele County is widely renowned for its vast desert expanses, it also has several mountain ranges that come alive in a burst of color as shorter days and cooler temperatures arrive. 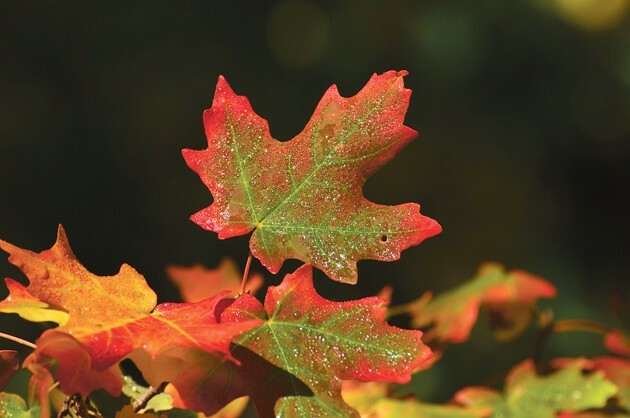 For years, photographer Jolie Gordon of Lake Point has pointed her camera’s lenses toward the county’s high peaks and deep canyons during fall to photograph sweeping vistas drenched in orange, yellow and red, or a solitary leaf moistened by dew. 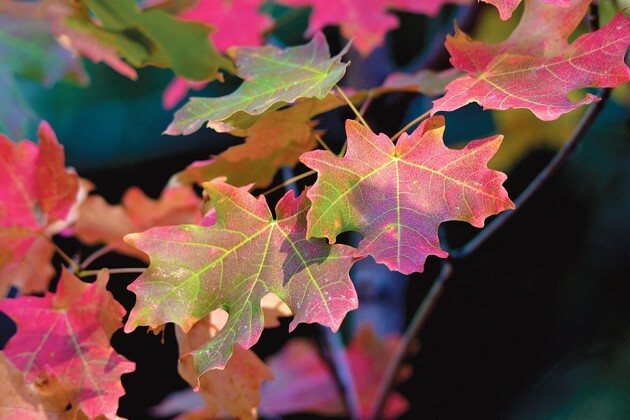 Today’s Hometown section features new and recent photography by Gordon of Tooele County’s fall colors. 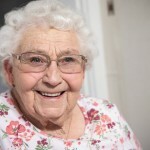 To see even more of her photos, view her website at www.joliesview.com. 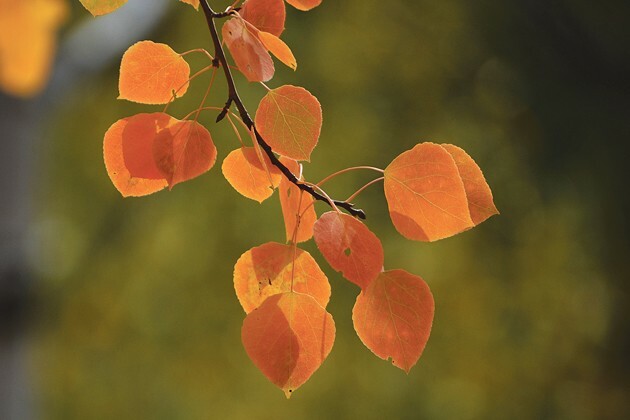 The weekend forecast by the National Weather Service is calling for a chance of showers, but with fall colors at their optimum and welcomed storms rolling through after a parched summer, this weekend may be the ideal time to enjoy the colors of fall in Tooele County.